First we would set up an in person consultation with the parent, so we can chat about what’s going on with your child or teen-ager, what has or hasn’t worked in the past, how the issues are manifesting at home, at school, with peers, etc. I like to get a good sense of your kid from your perspective before we begin the process. If, at any point, you would like me to speak with other therapists, doctors, or teachers, I’m happy to do that as well. Depending on the age of your child, I might first talk with him/her to develop a sense of rapport and make sure they are comfortable. Some kids and teens want to come in and talk for a few minutes before getting started, while others like to dive right into being creative. After I have a sense of the issues we are addressing and your child or teen’s style, I’ll come up with the most effective approaches. We might make up a story together and act it out. We might play out stories using puppets. Or I might ask your child to build a diorama with people and animal figures in the sand, and then we’ll talk about what he or she made. Depending on your child, we might just jump up and get physical, playing games with scarves, and we might use a technique that looks very much like kids’ “imaginary play,” in which we improvise lots of characters together in a string of vignettes – this allows people to release stuck emotions in a metaphorical way. If your child is feeling more reserved, I might have him or her draw a picture or make a mask and talk about the feelings of the characters in the picture. We might even write a play together and act it out. In some cases, when your teen or child needs to address issues “head on,” we might act out role plays of situations they are having trouble with in their lives. 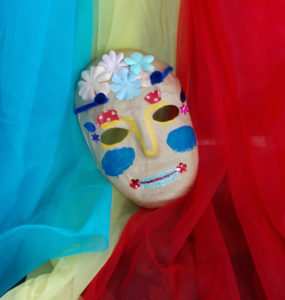 This helps them find new ways to express themselves and the words to express the emotions they are holding inside. We can take a look at their behaviors with more distance, and they can gain new perspectives and make new choices of ways to respond and behave. When working with kids, I will have check-ins with parents before most sessions. When working with teens, I will meet less frequently with parents, but will still schedule times for check-ins. Sometimes we will schedule separate sessions with parents if they want to process more and get more support and coaching regarding parenting their child. We can discuss techniques and strategies that parents can use at home with their teen or child. We usually begin a session by talking about your week and what is coming up for you that day. If you have overall goals you are working on, we also do a check-on to see where things are at and what you would like to focus on that day. Next, with your input, we choose a technique that fits with your comfort level. As with the kids, we can work in the metaphorical, using story-telling and improvisation to guide you towards health and empowerment, finding your guide role – the voice of wisdom within you. We can work on developing different sides of yourself, allowing those “roles” to speak to each other and find a way to live with less conflict within you. We can also work more in the “reality” of real relationships, allowing you to role play upcoming or past situations, having the conversations you needed to have or are concerned about having. We may use scarves, or art work, or play with figures in the sand. We can be as physical or as stationery as you feel comfortable. The ultimate goal is for you achieve personal growth and feelings of psychological wellness and wholeness. Sessions can be weekly, bi-weekly, monthly. I like to start out meeting more often so we can get to know each other and make some headway more quickly and then we may eventually meet less often as maintenance. In addition to meeting with individual clients, I am also available to do this work with kids/teens and their parents or families. Sometimes it is important to work on the relationships within the family to see lasting changes in the child or teen. At times there may be a few clients who have similar needs, and we can put together a group. 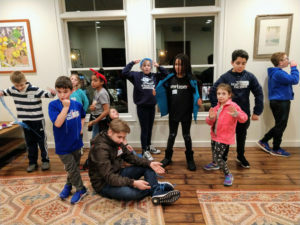 In the past, I have led drama therapy based support groups for siblings of kids with special needs, teens with depression, and children with learning disabilities. If your child has a sibling or friends with similar issues and you would like to arrange a group, I am happy to discuss. I am also available to lead adult groups targeting specific mental health topics.